City continues to address abandoned vessels; Harbor Commission has two vacancies. NEWPORT BEACH ― Boaters planning to visit Newport Beach this summer may have a trial anchorage available to them yet again. Meanwhile city officials acknowledge Newport Beach is making progress in removing abandoned or derelict vessels from the local harbor. Both issues were on the agenda at recent City Council and Harbor Commission meetings. Looking ahead, the seven-member Newport Beach Harbor Commission hopes to fill its two vacancies within the next few weeks. 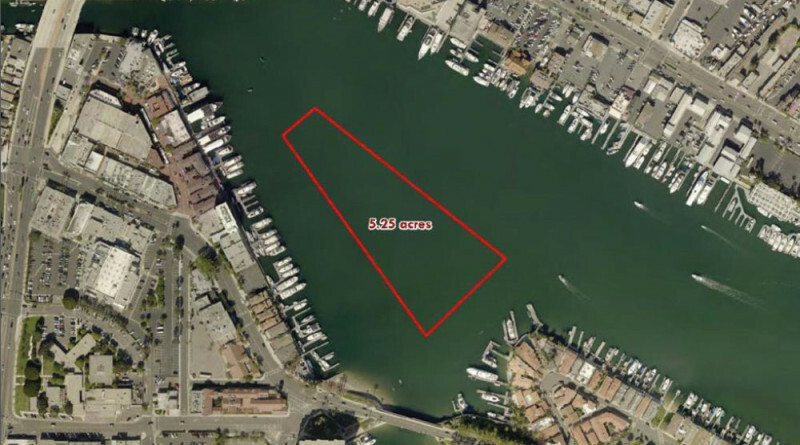 Newport Beach’s Harbor Commission recommended a temporary anchorage be established once more at the Turning Basin for the third year in a row. The trial anchorage, which still requires City Council approval, could be activated by Memorial Day weekend. A subcommittee of the Harbor Commission did ask the commissioners to go to the City Council with the recommendation of establishing the temporary anchorage at the West Turning Basin near Lido Marina Village again this summer, according to Blank. If this third year trial is successful, then the commission plans to go back to council with a recommendation that this be made a permanent feature of Newport Harbor as a seasonal anchorage, as opposed to approving it on a trial basis every year, according to Harbor Commission member Doug West. The anchorage’s previous trial runs were successful, both West and Blank told The Log, and the city did not receive any complaints during last summer’s trial run. “We’ve had no complaints as a result of the most recent trial and in fact, one of the homeowners who had been perpetually against the anchorage sent a message of appreciation for the way Invictus is now handled (oriented) when she is in port,” Blank affirmed. City officials and commissioners are also working to address the harbor’s aging boat population. Harbor Resource Manager Chris Miller reported the city’s derelict vessel abatement program, which identifies and removes abandoned and unkempt boats from the harbor, as successful during a Feb. 28 study session with the City Council. Miller reported about 30 derelict vessels has been removed within the past two years, thanks to a $125,000 grant secured by the city. The state’s Division of Boating and Waterways awards grants to help public agencies remove abandoned or derelict vessels from harbors, marinas or ports. Removing a vessel from a waterway could cost $2,500 to $8,000, as mentioned during the Harbor Commission’s Newport Harbor tour on Dec. 10, 2016. From the state subsidy, assistance can be offered to those with boats in need of attention. There have been boats of all sizes removed from the harbor and the process is not always easy, according to Miller. This program is still needed as it is an ongoing issue, but all the funds from the grant have been depleted, Miller reported to the City Council. The grant money ran out because it was used wisely, according to West. Securing another grant will help those wanting to get rid of their boat by being able to ask for assistance. To keep the harbor safe and welcoming, the commission and city council of Newport Beach support the Harbor Patrol’s efforts to identify and remove derelict boats from the harbor. The Harbor Commission has been busy with these as well as many other initiatives despite having two vacancies on the dais. Brad Avery’s seat is still empty after he was elected to City Council in November 2016. Joe Stapleton vacated his seat on the commission after being appointed to the city’s Finance Committee. “With Joe Stapleton’s departure it left the vice chair position open which we filled with Commissioner William Kenney last week,” Blank said. “With Commissioner Kenney moving into the vice chair seat we will select a new secretary at our April meeting.